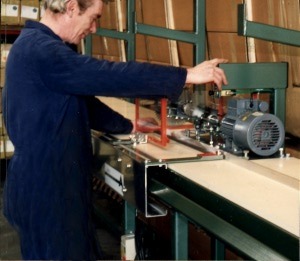 Extremely robust welded saw benches with driven or manually adjusted end-stop. Options for stepper dive pre-select, or even automatic data transfer. Fully guarded and safety interlocked designs.